As oil plummets, how much pain still looms for U.S. energy firms? 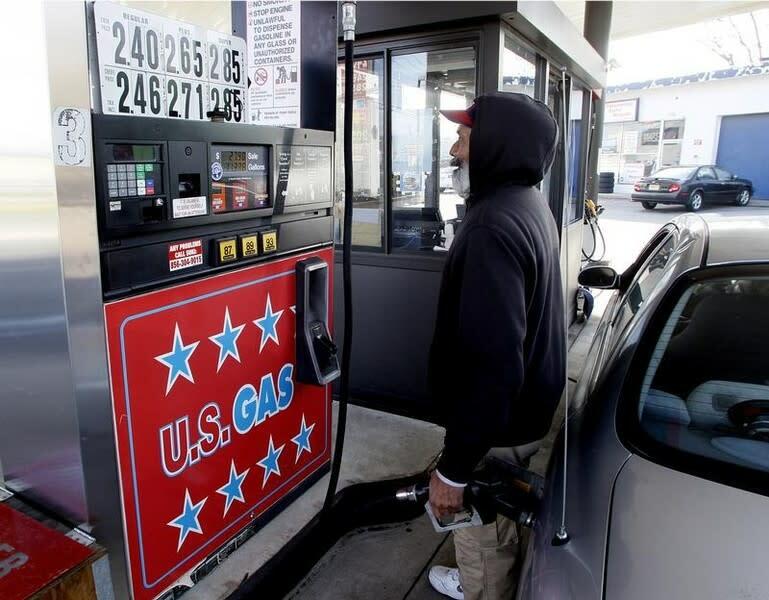 NEW YORK (Reuters) - With nearly a quarter of U.S. energy shares' value wiped out by oil's six-month slide, investors are wondering if the sector has taken enough punishment and whether it is time to pile back in ahead of earnings reports later this month. The broad energy S&P 1500 index gained more than 4 percent over the past month, suggesting many believe markets have already factored in the pain caused by oil prices tumbling by more than half since June below $50 a barrel. Yet since the start of this year, most energy stocks have given up some of those gains, revealing anxiety that some nasty surprises might still be lurking somewhere and that last month's bounce may not last. A closer look at valuations and interviews with a dozen of smaller firms ahead of fourth quarter results from their bigger, listed rivals, shows there are reasons to be nervous. What small firms say is that the oil rout hit home faster and harder than most had expected. "Things have changed a lot quicker than I thought they would," says Greg Doramus, sales manager at Orion Drilling in Corpus Christi, Texas, a small firm which leases 16 drilling rigs. He talks about falling rates, last-minute order cancellations and customers breaking leases. The conventional wisdom is that hedging and long-term contracts would ensure that most energy firms would only start feeling the full force of the downdraft this year. The view from the oil fields from Texas to North Dakota is that the pain is already spreading. "We have been cut from the work," says Adam Marriott, president of Fandango Logistics, a small oil trucking firm in Salt Lake City. He says shipments have fallen by half since June when oil was fetching more than $100 a barrel and his company had all the business it could handle. Bigger firms are also feeling the sting. Last week, a leading U.S. drilling contractor Helmerich & Payne reported that leasing rates for its high-tech rigs plunged 10 percent from the previous quarter, sending its shares 5 percent lower. The apparent disconnect between energy stocks' recent recovery and the furious cuts in Wall Street's earning estimates could also be a sign that the sector's 24 percent plunge since June may not fully reflect how ugly it can still get. Thomson Reuters data shows Wall Street brokerages slashed their fourth quarter estimates for energy firms by over 7 percent in the past 30 days. They now predict earnings of S&P 500 energy firms to fall 20.7 percent in the fourth quarter and by 36.1 percent this quarter. The price-to-earnings ratio based on estimates for the next 12 months for S&P 500 energy stocks is around 17, more than 16.3 for the whole S&P 500 index and above the sector's 12.5 figure based on reported results, according to Thomson Reuters data. This suggests that either investors bet on a rebound in oil analysts do not see or they risk getting disappointed when the results come out. Yet several stocks have rallied in the past month. One striking example is Penn Virginia Corp, an exploration and production company, which soared by nearly 30 percent even as analysts cut their estimates by more than a third. Short interest of nearly 30 percent suggests the rally might be in part fueled by a "short squeeze" when sellers are forced to buy back the stock when it starts rising to cut their losses. Some analysts say though, many stocks have been sold off enough to offer good value. "If you have no exposure this is a good time to step in," Scott Wren, senior equity strategist at Wells Fargo Advisors said at the start of this year. Analysts who advocate buying energy stocks recommend big, high-dividend paying companies, such as Exxon Mobil or Chevron. Both stocks have outperformed the sector during the six-month rout in which companies, such as Chesapeake Energy or Halliburton lost a third or more of their value. Smaller firms are considered more risky, among them oilfield service companies exposed to spending cuts by exploration and production companies. Analysts expect this year's budgets to fall by a quarter, but many firms have yet to finalize plans. Investors got a taste how bets on "the worst might be over" scenario could go bad last month when Civeo Corp, a provider of temporary housing for the oil industry, issued a profit warning. The stock has struggled since oil headed south, but investors were still shocked how hard the company got hit, sending its shares crashing by more than 50 percent in one day. For sure, not all energy firms are equal. Civeo represents scores of companies whose fortunes are tied to the shale oil boom that made the United States the world's top producer, but also helped create a global supply glut that sent prices tumbling. In such a market, the safest bets are pipeline companies like Kinder Morgan Inc, whose shares have risen more than 16 percent in the last six months. Their business depends on traffic volumes, much like toll roads, and the U.S. government still forecasts production to rise this year. Independent refiners and integrated oil majors such as Exxon Mobil that combine exploration with production, refining and distribution, are also expected to brave the storm fairly well. Industry experts say larger, efficient and financially sound producers and services firms may also emerge as winners: taking over weaker rivals or gaining market share. “Good companies with bad balance sheets with productive properties, those are going to be targets," said Mark Chesen, a managing director of SSW Capital Advisors, a Pennsylvania-based investment bank that specializes in distressed mid-cap firms. But while hedge funds, buy-out firm, private equity and distressed debt investors gear up for 2015 as a year of energy deals, Chesen said they were likely to wait first for signs of oil prices stabilizing.